Cats are excellent climbers. They love floor-to-ceiling scratching trees, and high spaces to lie on – they can relax and watch their human companions undisturbed. Floor-to-ceiling scratching trees made from solid wood offer many advantages for both cats and humans. Lots of post to climb up – keeping your cat fit and helping them have fun. High spaces to lie on are ideal observation posts – a hammock, couch, or a level with a rim is particularly popular as an upper platform. Scratching trees tensioned from the ceiling do not take up much room, and their slender silhouette gives them an elegant, high-quality appearance. Are floor-to-ceiling scratching trees suitable for every home? Is it (technically) possible to have a scratching tree of any height? Profeline scratching trees are available for rooms of all heights. Our complete scratching tree sets are based on common ceiling heights of between 240cm and 260cm. Every scratching tree can be adjusted to suit the height of your room. We would then include shorter or longer posts to reach your ceiling height – for example, 220, 270 or 280 cm. We would be happy to advise you by telephone or email. 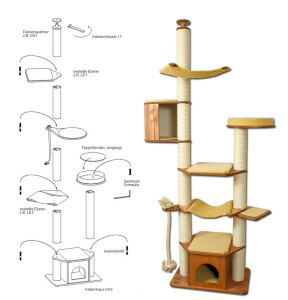 Is it hard to construct and assemble a scratching post that is tensioned from the ceiling? You should allow approx. 15-20 minutes to construct the post. For tensioning the scratching post from the ceiling, you will need a secure ladder, a 17mm spanner or pliers to turn the nut on the ceiling. You won’t need any other tools – all the screws you need to attach it, and assembly instructions, are included with your scratching post. Tip: the tree is secured by tension, your ceiling is not damaged and you won’t need to drill anything. 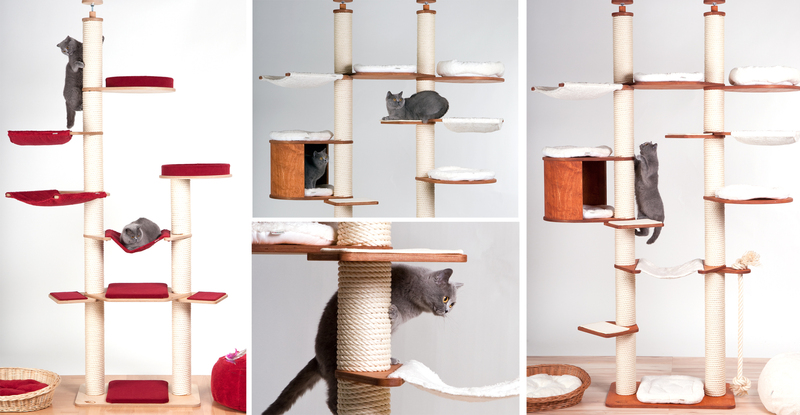 Can you get floor-to-ceiling scratching trees with a cat house and two columns? Yes! 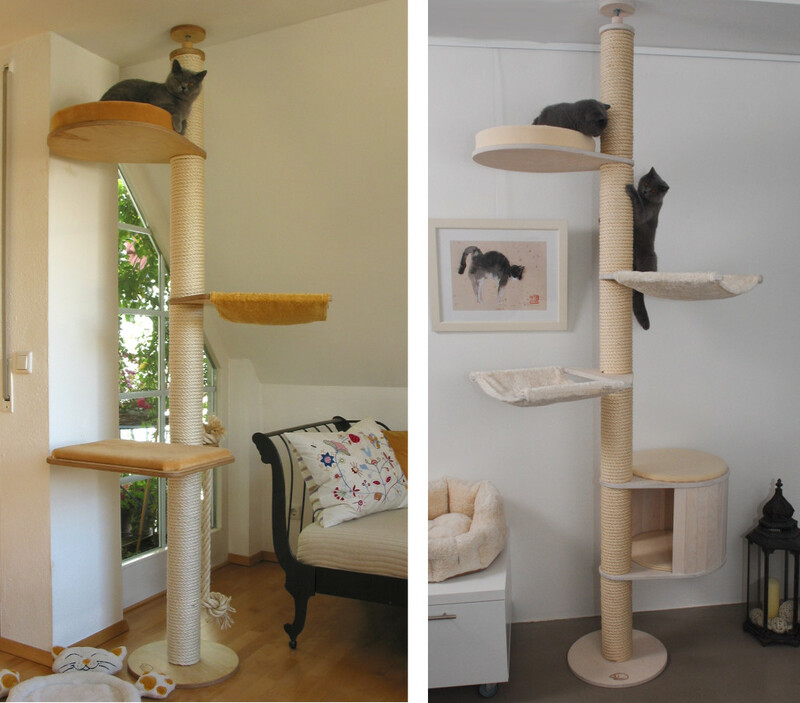 Our scratching trees are available with a cat house that either stands on the floor or is suspended. You can get the cat trees with one or two columns. 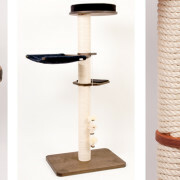 Large models like our XXL Scratching Post Landscape Ferdinand have 3 columns. Can I put together a floor-to-ceiling scratching post myself, and how many levels do I need? 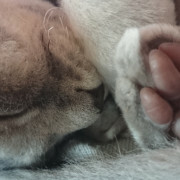 Hammocks, couches and edged lying spaces are particularly popular. What colours are Profeline scratching trees available in – and can you get washable textiles? Are there special scratching trees for large, heavy or old cats? All our scratching trees are made from solid wood – you are buying a high-quality product that was made in Germany – no cardboard tubes, no plastic. 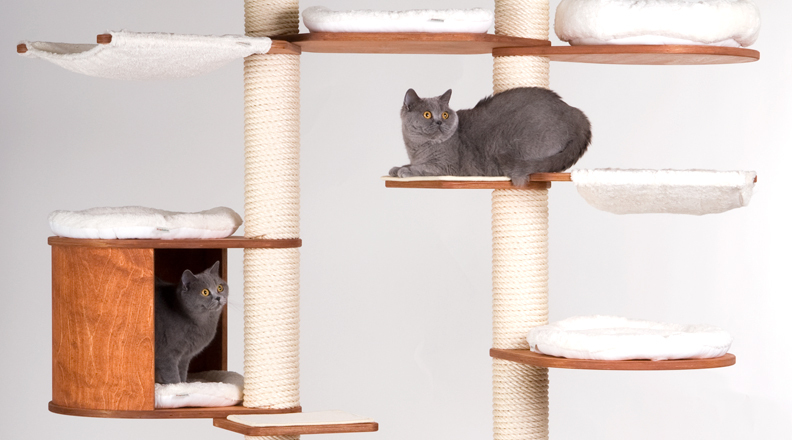 Our scratching trees are designed for large cats and heavy cats. 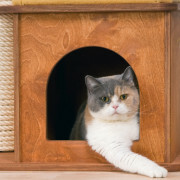 For older cats or cats with health problems, the distances between the individual levels should not be too large – it can often make sense to include several levels or steps – and even our sets include many scratching trees that are ideal for older cats. Is a floor-to-ceiling scratching post suitable for kittens? From 12 weeks on, even kittens are excellent climbers. It’s easy for kittens to climb up – climbing down is what poses a problem for them. So when they’re starting out, give them some help – or consider a floor-to-ceiling scratching post with at least 4 levels. The distances between the individual levels should be somewhat smaller so that the kittens can head downwards from level to level comfortably and safety.